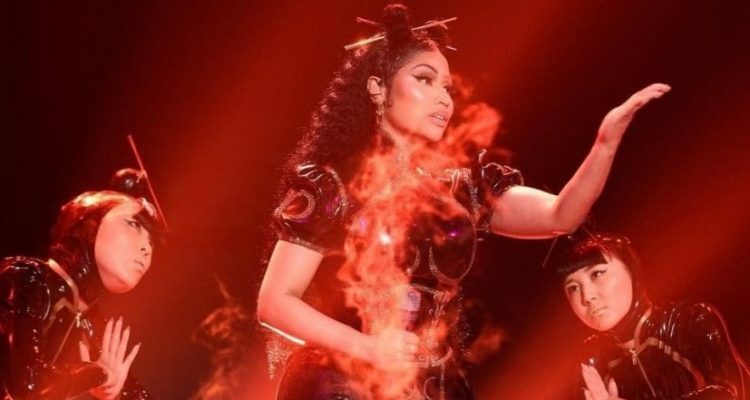 In preparation for the release of her upcoming album Queen via Young Money/Cash Money Records Nicki Minaj released a snippet of an unreleased song on her brand new Queen Radio show on Beats 1. The 10-second clip doesn’t feature Minaj, but one can hear her next possible single booming out of the studio speakers. Just last week, it was unveiled that Nicki would be delaying her album’s release for a second time, pushing Queen back to August 17th – the same day Ariana Grande is set to release her album Sweetener via Republic Records. You can tune into Minaj’s debut episode of Queen Radio tonight at 10 PM ET on Beats 1.